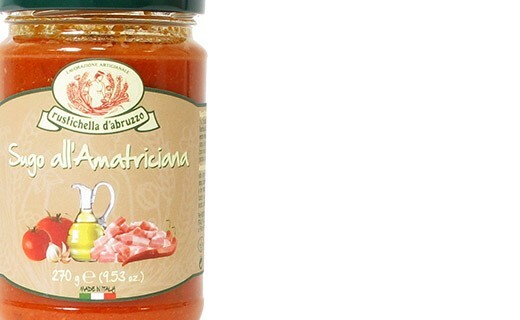 The All'amatriciana sauce is a specialty of the region of Rome. 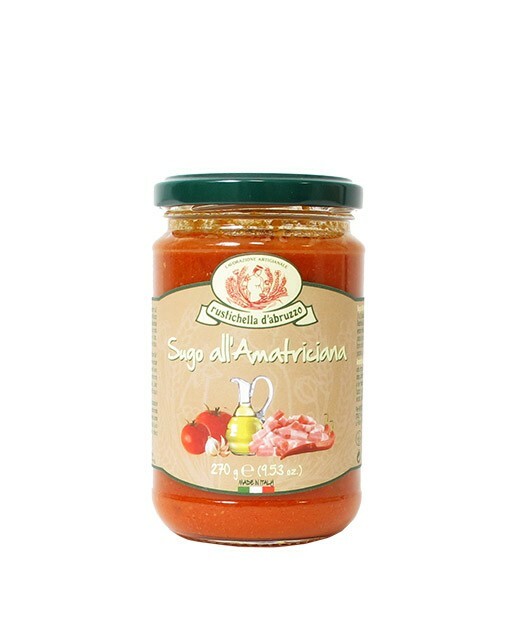 The main ingredients of this sauce are: the guanciale (bacon of cheek of pig), the pecorino (cheese of Abruzzi Mountains), the onion and naturally the tomato. Tomato sauce, pork, onion, extra virgin olive oil, red wine, sugar, salt, basil.